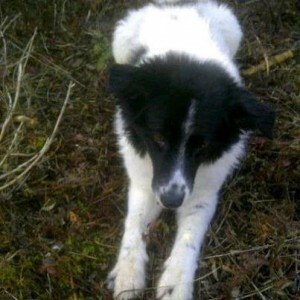 HAPPY ENDING: Home, Safe n' Sound: Lost Dog: Convoy St, Halifax, Halifax Co., NS — Border Collie, Male, 11 Yrs Old — "Shadow"
Additional Notes: MALE: Border Collie, 11 years old. Not wearing a collar. Has a mostly white coat and black face. NAME: Shadow Went May 22/12.